As a “prepper” and zombie enthusiast I get asked this question a lot. Or sometimes, I get asked, “You don’t really think zombies can happen, do you?” My stock answer is: No there are no zombies…yet. Prions, mutant proteins, have devastating effects on the brain and could be the cause of a future zombie outbreak. Theoretically, there are a number of things that could create a zombie like those we’ve become familiar with in books and movies. The top three “zombie-makers” are viruses, parasites and prions. Because of their ability to mutate and spread rapidly, viruses are already known to create pandemics that have devastated human populations throughout history. Smallpox killed as many as 500 million people during the 20th century. According to the World Health Organization (WHO), 15 million people contracted small pox in 1967 and of those 2 million died. Fortunately, vaccines have essentially eradicated this disease, but others like Ebola and influenza persist. Parasites have already been known to cause “zombies” in the animal kingdom. Scientists have observed this in bees, caterpillars and ants. Most commonly, these are fungi that change the behavior of the animal they have attacked. While ants and bees have smaller and simpler brains than humans, it is not outside the realm of possibility that a parasite might find a way to attach itself to a human host. 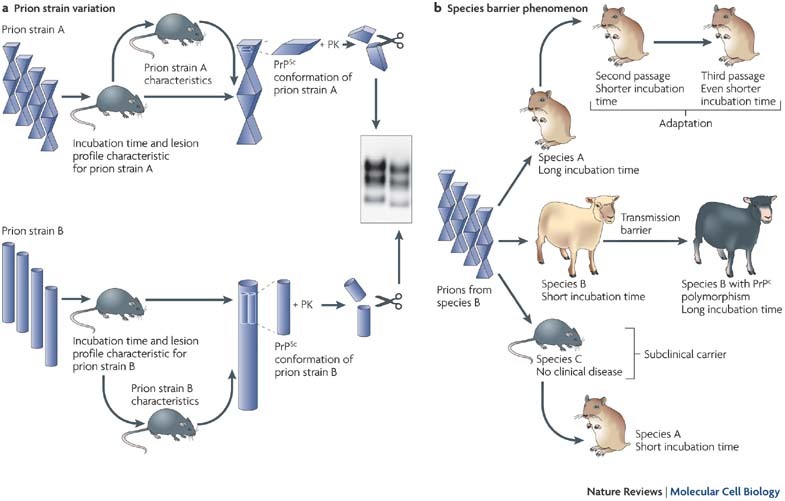 Prions are misfolded proteins that carry infections to the brains of mammal species. Prions are responsible for mad cow disease in cows and Creutzfeldt–Jakob disease in humans. Once introduced into the host, the prions cause further replication of the misforlded proteins, effecting the brain and neural tissue. Dementia is a common symptom of CJD and a variant could well cause violent and homicidal behavior.